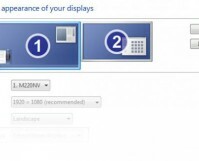 How Do I Use Two Monitors with Windows 7? These days everybody has more than one monitor available. However, running a dual monitor setup can be tricky to get working correctly. This tech-recipes tutorial will get you started. How Do I Install New Windows 7 Gadgets? Many Windows users believe that the few gadgets that appear by default on the Windows 7 desktop are the only ones available. Actually, there are a ton of gadgets that are available. This tech-recipes tutorial will show you where to find new gadgets and how to install them quickly. By using permalinks in WordPress, you can quickly and easily give your blog more readable URLs. This is an essential practice in improving SEO and in the development of a more user-friendly website. Building an exit, close, or quit button is one of the first steps a programmer needs to learn when developing in C# Visual Studio. This article describes how to build the form and generate the code needed for this task. Screencast is included as well. I bet you didn’t know it was possible, but you can backup your Wordpress database right from the admin panel of your website. No need to tinker around in phpMYADMIN. It’s this simple. Don’t even bother fumbling around with an FTP client, un-zipping files, and folder structure. 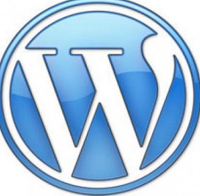 Wordpress allows you to upload themes from the Admin CP with one click. Lots of times when I create screen-casts I need to blur out sensitive information from my videos such as usernames, passwords, credit card info, etc. Using Camtasia Studio we can easily blur out anything in a video with a few simple steps. How Do I Record Skype Calls for Free? Some people have completely ditched traditional phones for the super cheap alternative known as Skype. Maybe your prank calling people and want to record the entire conversation. Or possibly your a hard working business man who wants to save a business call to remember key points. I have a free software tool that will let you record your Skype calls! How Do I Start Using jQuery on my Website? 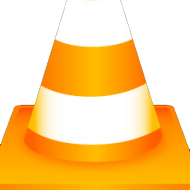 Not only is VLC Media Player a great free open-source tool, but you can convert a .flv file to .mp3 very easily! Learn how in this article and screen-cast. Add an extra layer of security on your Windows 7 login to make sure your not entering your precious password for a malicious program. Facebook seems to keep cranking out changes. This change, is one of the biggest yet. Enable the new Facebook profile page look, the timeline, right this moment!